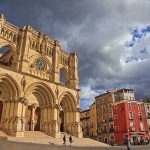 A World Heritage Site, Cuenca is one of Spain’s most memorable cities, its old centre a stage set of evocative medieval buildings, many painted in bright colors, stacked on a steep promontory at the meeting of two deep river gorges. Narrow meandering streets separate tall houses with wooden balconies that literally jut out over the sheer cliffs. Yet, despite its age and Unesco listing, Cuenca has somewhat ironically established itself like a vortex of abstract modern art. Two of its most iconic buildings – including one of the famed casas colgadas (hanging houses) – have transformed their interiors into modern galleries. It’s a theme continued in many of the town’s hotels, museums and restaurants. 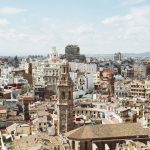 From the outside, they look as if they’ve been sawn off from some high-altitude Tibetan temple, but, from the inside, Cuenca’s famous casas colgadas (hanging houses) have been transformed into a suite of airy, clean-lined galleries displaying some of central Spain’s finest abstract art. You can spend hours in here trying to decipher blurry Fernando Zóbel (the museum’s founder), bright and direct José Guerrero or the highly individual works of Catalan Antoni Tàpies. Don’t miss the extraordinary gouache landscapes by Eusebio Sempere, which really capture the colourful patterned plains of La Mancha, or Antonio Saura’s vivid portraits of Brigitte Bardot and Philip II. The museum extended its exhibition space in 2016 to tie in with its 50th anniversary. We highly recommend visiting the museum. 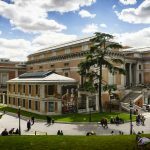 This museum boasts and displays complete works of paintings and sculptures of Spanish from the 50s and 60s (also known as the abstract generation), which drafted some of most significant abstract tendencies of the art in Spain in the mid 20th century. The most striking element of medieval Cuenca, the casas colgadas jut out precariously over the steep defile of Río Huécar. Dating from the 14th century, the houses, with their layers of wooden balconies, seem to emerge from the rock as if an extension of the cliffs. The best views of the casas colgadas is from the Puente de San Pablo footbridge. Today the houses host – somewhat improbably – an abstract art museumfounded in the 1960s. 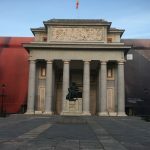 This museum is the next best thing to experiencing one of Spain’s most spine-tingling Semana Santa parades firsthand. Spread over two floors, the hugely accomplished audiovisual show moves from room to room showing the processions by local brotherhoods against a background of sombre music. Afterwards you are allowed to wander around at leisure, admiring the costumes, crosses and religious iconography. Lured in by the impressive old-looking facade (it was actually cleverly rebuilt in neo-Gothic style in 1902), Cuneca’s cathedral is well worth a visit. It was built on the site of the main mosque after the city’s reconquest by Alfonso VIII in 1177. Highlights include the magnificent Renaissance doorway leading to the cloisters and the chapter house artesonado (wooden) ceiling painted in pastel colours. The striking abstract stained-glass windows were added in the 20th century. 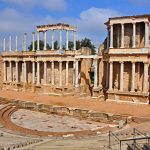 The excellent audioguide has 37 stops with explanations in several languages. Piped choral music and a well-lit interior (as opposed to the gloom of so many Spanish cathedrals), add to the appeal. A molehill of tunnels lies under Cuenca’s old town. Over time they have served multiple purposes as aqueducts, crypts and, most recently, air-raid shelters during the civil war. The tunnels have been restored and fitted with walkways, lighting and explanatory boards. Tours are guided only (in Spanish) and must be booked through the main tourist office. This huge modern-art gallery in the labyrinthine ex–Convento de las Carmelitas is a typical Cuenca synthesis of old and new. Stuffed with exhibits that may perplex, inspire and (possibly) amuse, it is large, but crammed. Antonio Saura is well represented, as are plenty of other 1950s and ’60s-era artists. Included in the collection are two works by renowned American pop artist Andy Warhol. This hill across the Río Huécar gorge from Cuenca’s old town is crowned by a giant statue of Christ, which is illuminated at night. A 3km trail marked by the 14 Stations of the Cross follows a zigzag route to the top. It starts just behind the Parador de Cuenca. 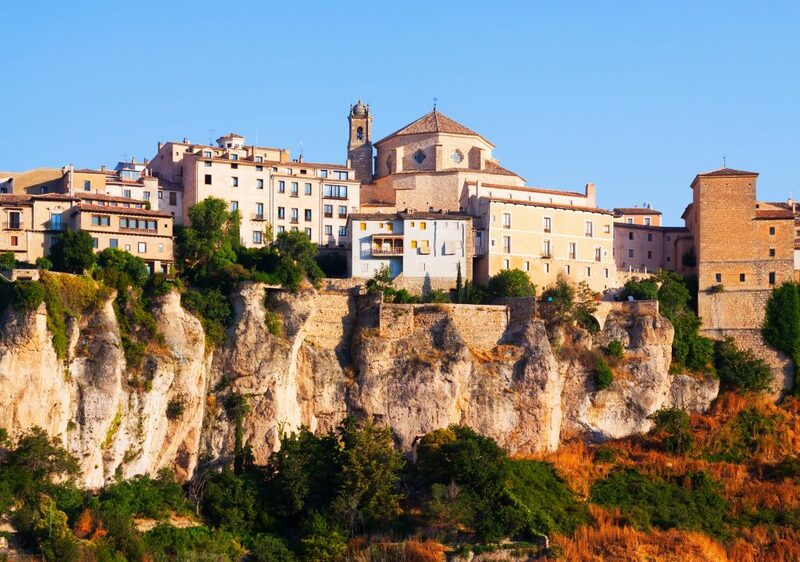 Climb to the top of the old town for this fine viewpoint over Cuenca and its plunging gorges. You can also catch bus number 2 from the new town which stops close by. 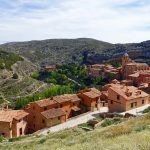 Cuenca is situated in the province of the same name, and there are quite a few small towns and villages that are really worth visiting. 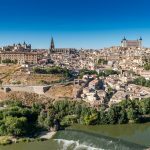 If you would like to know more about these small and unknown places we recommend you to check our guide about the top ten places to visit in Castilla La Mancha (this is name of the autonomous community where Cuenca is located). 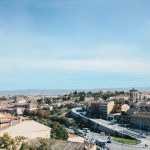 If you happen to be in Madrid, Cuenca could be a nice option for a weekend trip. It takes around between 2 and 2 and a half hours by bus, and between 1 and half and 2 hours by car. We cannot finish without mentioning la Ciudad Encantada (the Enchanted city) which is around 35 km from Cuenca. The Enchanted City is a geological site in which the erosive forces of weather and the Waters of the nearby Júcar river have formed rocks into distinctive and memorable shapes. The rock formations of Ciudad Encantada are karst formations made of limestone and dolomite, which date back to the Cretaceous period, approximately 90 million years ago. Rain falling on the original limestone plateau wore down the porous limestone, leaving behind the more resistant dolomite. Because the dolomite was not always distributed evenly in the original rock, the result was the irregularly eroded shapes that form the Ciudad Encantada. Here you have some of the rock formations you can find in this incredible site, which was declared as a UNESCO World Heritage Site.